Panelists individually generate descriptor vocabulary to describe the sensory properties of the product. Also referred to as Flash Profiling and other similiar references. Allows your Panelists to dynamically Name their own Attributes to respond to. Purpose: Commonly used for Panelist participating in attribute discovery, orientation, and training. 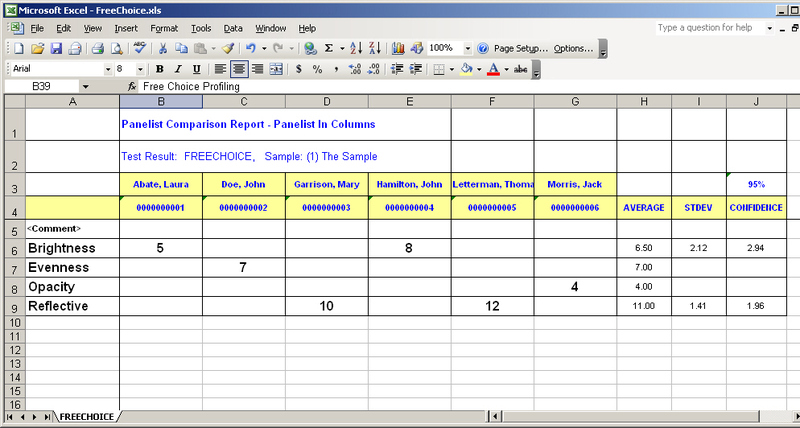 and for each panelist will use their open-ended Comment text as the Attribute Column Descripter. A new report row will be generated for each *Unique* comment from all panelists in your panel. and only for Line Scales or Hedonics Category Scales. Other reports that will ignore attribute when Export Label = <COMMENT>, Statistics, Result Summary Statistics and Graphics. Comment, your Export Label = "Next Attribute Name as Comment"
your Question Text = "Please enter in the Name for the Next Line Scale Attribute"
Recommended style is a single-line Comment with a max length of 50 or less. 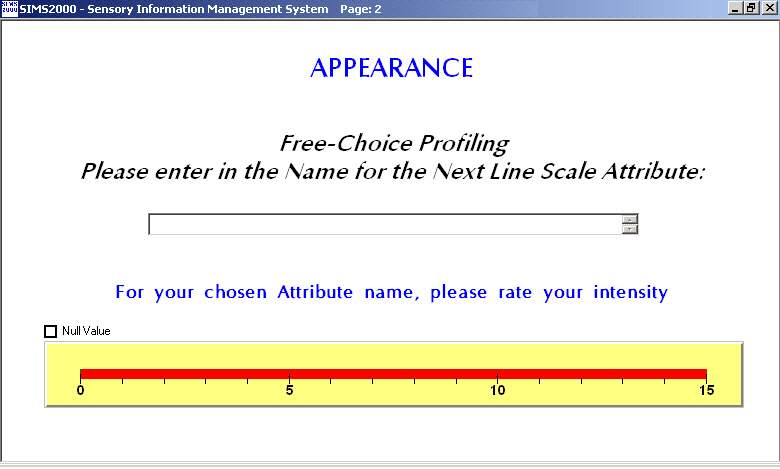 Line Scale, your Export Label = "<COMMENT>"
your Question Text = " For your Attribute Name, please rate your intensity"
when panelists may not need or are able to participate in naming attributes. you can still modify it later after the test using Multiple Edit Text Anytime functionality. You can also go to the Sensory Computer Systems web site www.SensorySIMS.com. Click on 'Support,' then 'Public Support Forums,' and Search for 'Free-Choice Profiling'.